I love looking on Airbnb at all of the amazing spaces people create to share with travelers. Seriously, the creativity of the people on there is mind blowing, and I love that there are so many people out there trying so hard to give adventure seekers more of an experience in their areas than a traveler would get from just staying in a hotel somewhere. 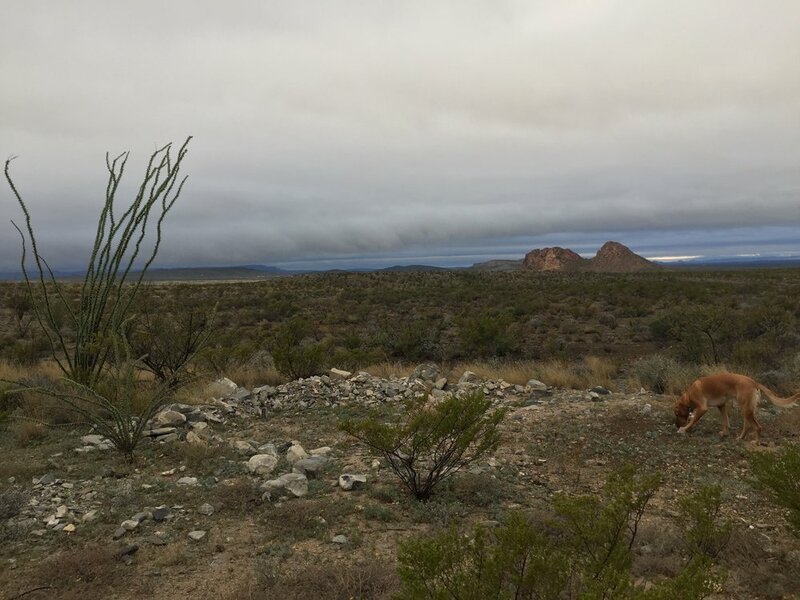 So, knowing that Joel and I were itching to go adventuring, I started looking at some possible places we could stay anywhere on our "West-Texas-Travel-List." 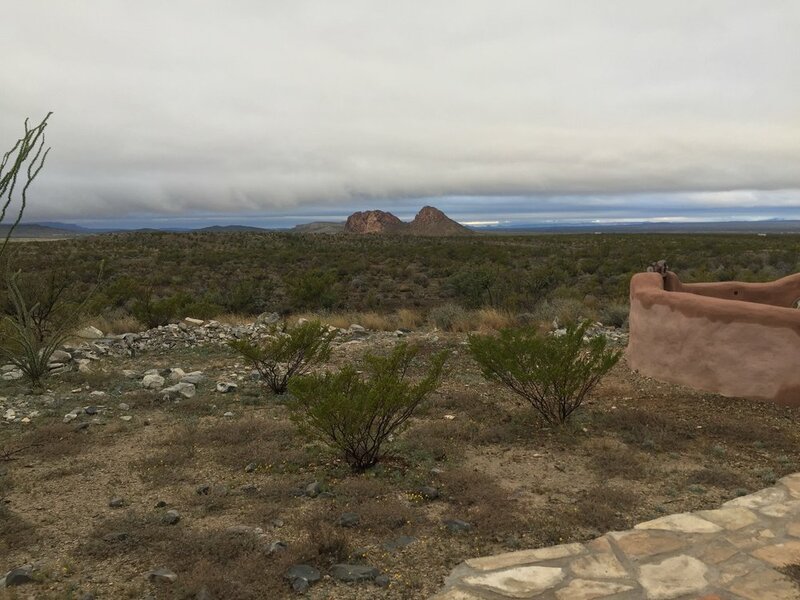 Big Bend National Park is on the top of our list, and when I found Jamie's (the Airbnb host) place, I was so excited. 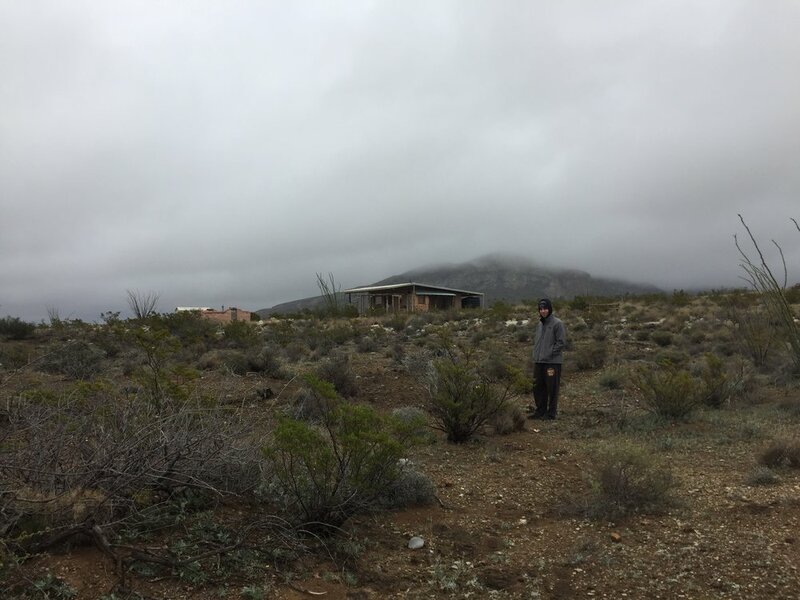 But the more I read his description, the more a little part of me was worried that 1) I would be afraid staying somewhere so remote and 2) That I couldn't hack the "off-the-grid" living that is Jamie's Earthbag Home. To try to figure out if we (mostly me) could handle it, I headed to the reviews of the Earthbag Home. And after reading a ton of the reviews (there are over 70 of them, all of which basically rave about staying there!) I knew we had to at least try. I sent a booking request, and soon after, Jamie accepted the request and it was finalized! I had all kinds of mixed emotions about it haha. So then fast forward to the week of our trip. Joel caught some kind of nasty bug from work, I was making so many "packing" and "don't forget" lists that I couldn't see straight, and the weather was calling for RAIN. RAIN in WEST TEXAS on the ONE WEEKEND that we wanted to see amazing star views! But despite all that, we still made the trip. AND WE ARE SO GLAD THAT WE DID!! I think a weekend away was exactly what we needed. And despite the clouds (and yes it did even rain) the views were still amazing. We made the 4 hour trip Friday afternoon when Joel got off work, so we arrived after dark. Which was a little scary! 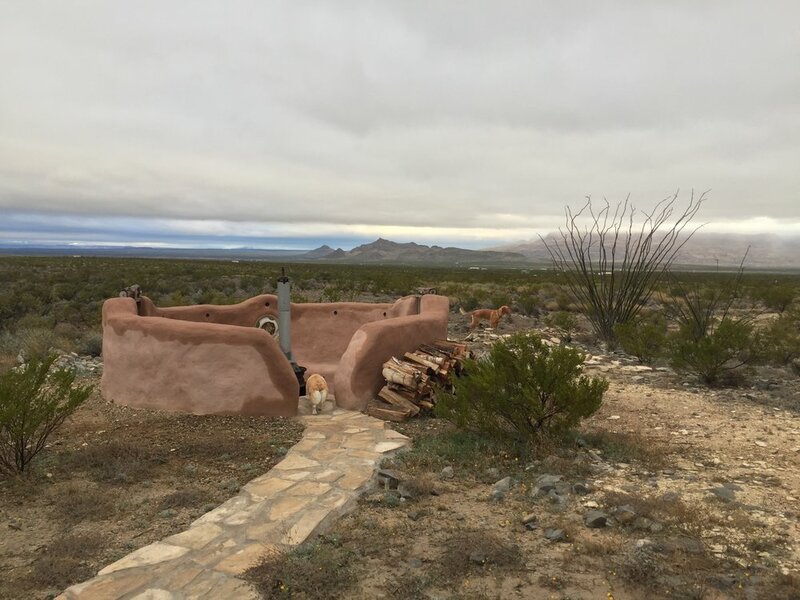 But we settled in, made a fire in the wood burning stove, and when I woke up the next morning was so in love with the views all around the Earthbag Home! Even with the clouds, the views were stunning. The dreariness kind of gave the desert a quiet, lonely look and it's probably not a view of the desert that everyone gets to experience. Throughout the whole weekend we just kept saying "holy cow this is beautiful!" Saturday we did some driving around and explored the area. 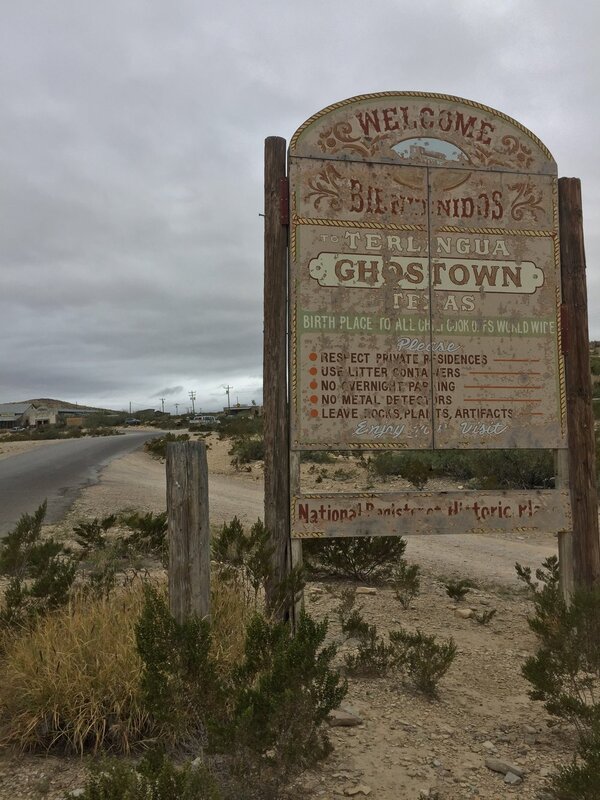 We drove into the Terlingua Ghost Town and walked around a bit. 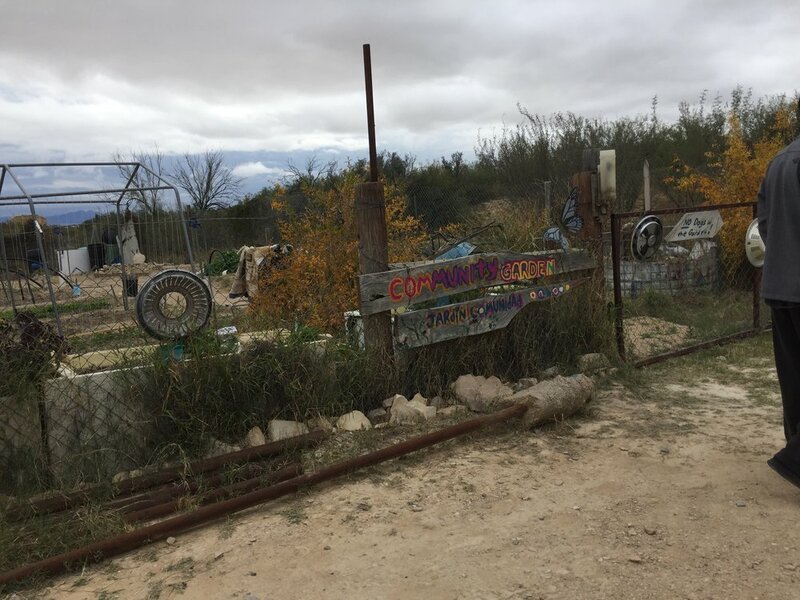 We checked out the Terlingua Trading Company, and were lucky enough to be there on the day of their community Farmer's Market! 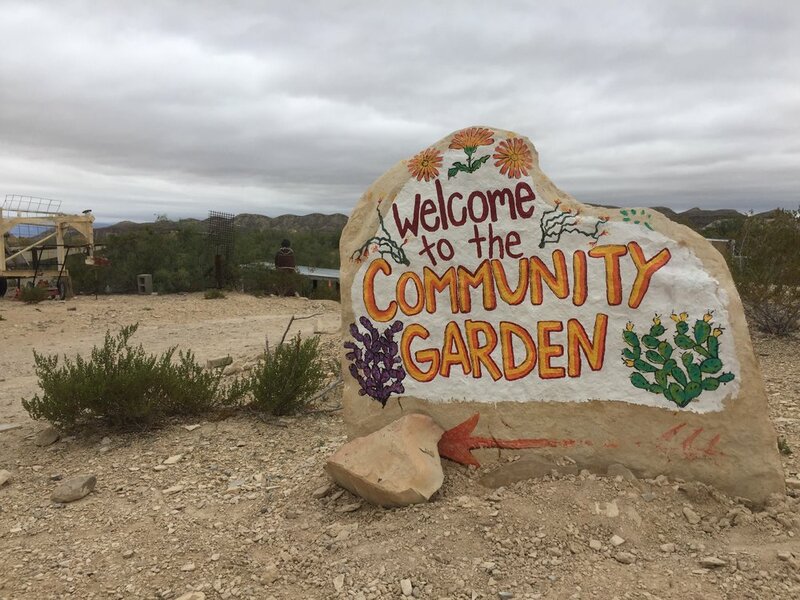 They have the cutest little community garden that people tend to and grow all kinds of stuff in! We walked around it a bit and it was really interesting to see all of the things they're growing. I made Joel take a picture in one of the stools on the porch of the Starlight Theater (which wasn't open but I have read a lot about online!) and we looked through some other small shops in the town. One thing we couldn't get over is just the different way of living down there. Being from Ohio we still thought that we lived in the "middle of nowhere." Um no, sorry Burg people, Terlingua IS the middle of nowhere! But really just so neat to see the houses and living styles of the people that call it home. 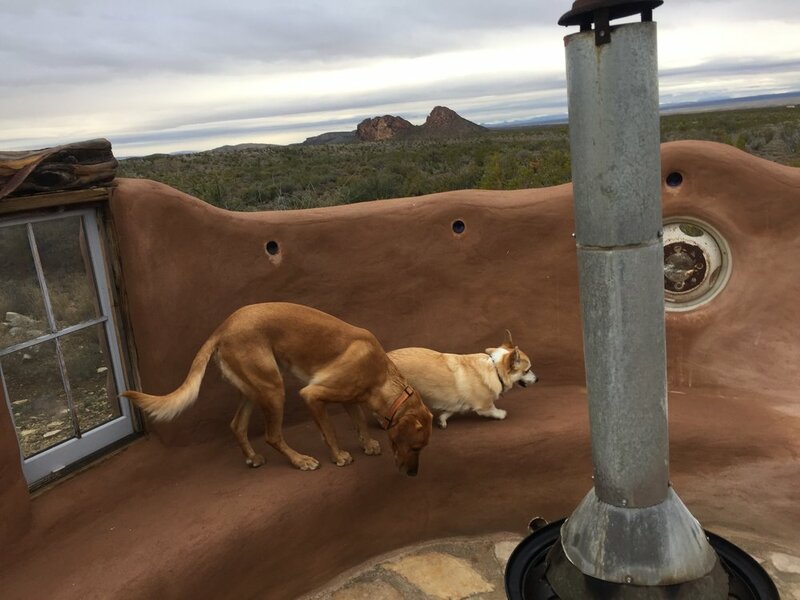 Jamie's place is completely solar powered, has running water that is solely from tanks that collect their own water, and even has a compost potty (!?!?!?!) The compost toilet was definitely that thing that I was MOST worried about for myself, but it ended up not being even half as scary as I had imagined (: The home is heated by a cozy wood burning stove, has a super comfy bed, and even has familiar amenities like a gas stove and grill, a TV and WIFI!? We did watch a lot of movies after dark (since it rained and we couldn't make an outdoor fire in the coolest fire pit ever outside) but we ended up just watching movies on our tablets and our computer to try to save the solar power. We played games, ate tons of food and snacks, and just really enjoyed the quiet and spending time together. All in all, even with such dreary weather, we had the best weekend trip. 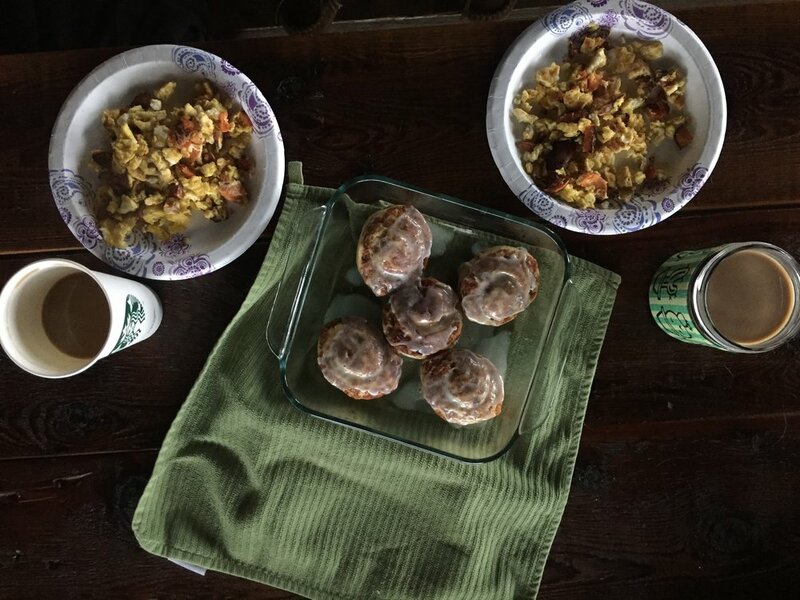 We came home feeling so relaxed, refreshed, and full (from all the yummy food we made while in Jamie's house!) And we can't wait to go back down to do even more exploring. 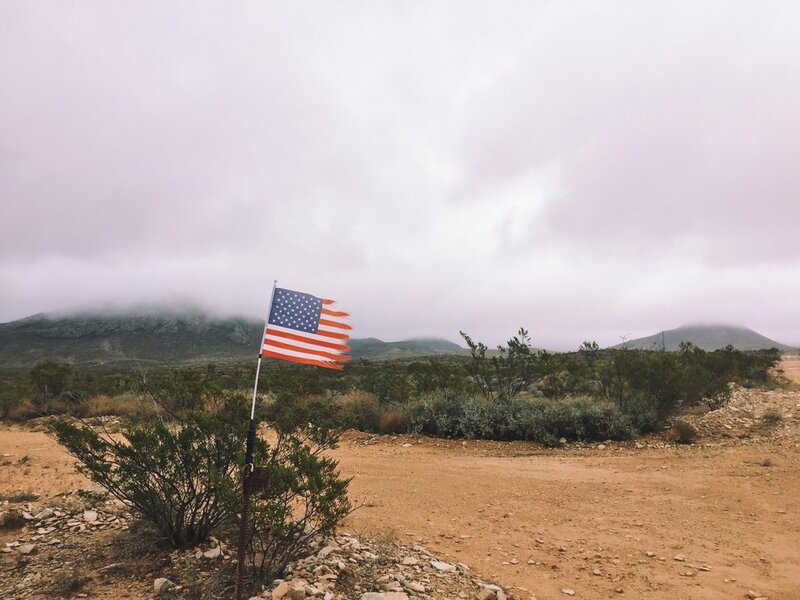 The desert is something truly special to see, and is just oh-so beautiful. 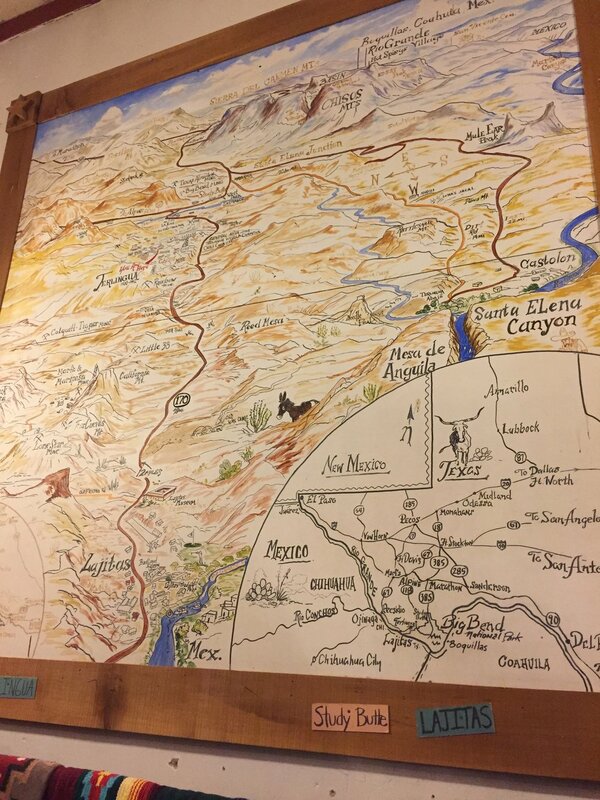 Have you ever been to the Big Bend area? Tell me what you loved about your trip! !